Salted sardines with coriander and thyme. Crab apple mostarda. Instant samphire pickles. Speckled tea eggs with star anise and ginger. Dandelion jelly. Pickled chanterelle mushrooms. Blueberry-maple spoon fruit. 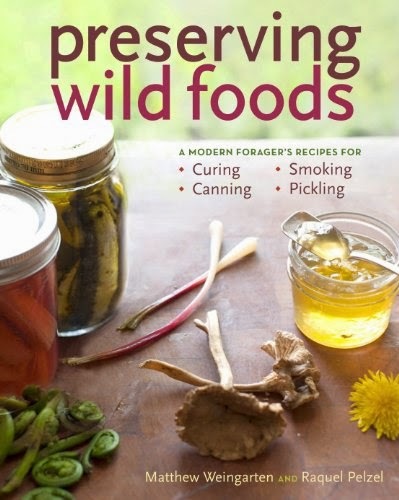 These and dozens of other inspired recipes from chef Matthew Weingarten show you how to preserve—by curing, canning, smoking, and pickling—a wide range of wild ingredients foraged from the sea, fields, forests, and fresh water. Clear instructions make small-batch preserving techniques easy to learn, from smoking fish to putting up jam, pickling vegetables, and curing meat. Whether you forage in the wild or at the farmers’ market, you’ll delight in making and enjoying these unique preserves.